Eek I thought! It's a Mills n' Boon rip off. I'm not saying I hate Mills and Boon, but you have to admit they're kind of predictable. So, with very little enthusiasm I started turning the pages, after all Simon and Schuster were kind enough to send me the book: the very least I could do was read and review it. I expected a plot line you could fit on the back of a business card, but..........in actual fact the plot line could have been written on the back of maybe two business cards - this was forgivable though as it was a downright enjoyable read. The characters are very likable and the situations they find themselves in are believable too. I found the pace of the book good and wasn't tempted to skip pages at any point, and was really quite on the edge of my seat every now and then. I'm not saying this is Tolstoy or anything, but this isn't bog standard crappy romance either. 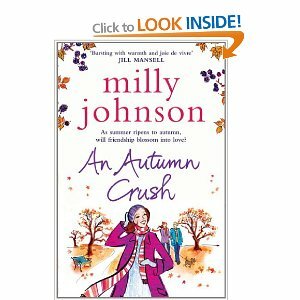 Milly Johnson has a sense of humour which is reflected in her writing, and many of the situations had me chuckling away to myself. She also writes with an enthusiasm that bounces you along with the plot. My only criticism is that there's too many wrestlers in it! Yes I know that sounds bizarre. From reading the intro to the book it seems Milly is a huge fan of wrestling and you can tell! Towards the end of the book I began to wonder if the town they lived in was solely populated by wrestlers, even the florist was a wrestler! I know the main characters move in wrestling circles, but it all gets a bit much. Briefly summarised Florence, a writer of poetry for a card distributor, moves in with Juliet, an office worker who quietly lusts after her boss. They become close friends and through a couple of plot twists and turns Juliet begins a relationship with Steve and Florence falls in love with Guy. This is after they both experiment with Internet relationships that turn out to be rather dramatic dead ends. If you would like a copy of this book it is published by Simon and Schuster and will set you back just £4.89. It's a great read, even with all the wrestlers.